Facebook turns eight years old this Saturday and the world's largest social-networking utility gave itself an early birthday present: An initial public offering that could potentially raise $5 billion this spring. Apparently everybody wants to attend the birthday bash because response to Wednesday's IPO filing crashed the Securities & Exchange Commission's website. But the most pertinent news is what's inside the just-released filing -- a deck of financial cards long held close to the chest of Facebook principals. Facebook now has 845 million active monthly users, up 39 percent over the 608 million users recorded at the end of 2010. Users generated an average of 2.7 billion "Likes" and "Comments" per day for the period from October through December last year. 250 million photos are uploaded to the site every day. More than half of Facebook's users -- 425 million -- now access the site using a mobile device, up from 350 million in 2011. Facebook generated $3.711 billion in revenue in 2011, up from $1.868 billion in 2010 and $764 million in 2009. Advertising generates approximately 85 percent of Facebook's total revenue ($3.154 billion in 2011). Twelve percent of Facebook's total revenue in 2011 came from Zynga. Under an agreement with the social gaming firm that won't expire until May of 2015, Facebook retains 30 percent of the face value of user purchases in Zynga's games on the Facebook Platform. Facebook's 2011 net income was $1 billion -- more than triple the $229 million it recorded in 2009 and up 34 percent from $606 million in 2010. Facebook spent $427 million in 2011 on marketing and sales. A total of $388 million was spent on research and development. The company spent $280 million on general and administrative expenses. While company co-founder, chairman and CEO Mark Zuckerberg's 2013 annual salary will be $1, he received a base salary of $500,000 last year. Company COO Sheryl Sandberg's base salary in 2011 was $300,000, as was CFO David Ebersman's base pay. Mike Schroepfer, vice president of engineering earned $275,000 and Theodore Ullyot, vice president, general counsel and secretary, also earned $275,000. Facebook paid between $600,000 and $800,000 last year for a security system at Zuckerberg's personal residence, as well as security personnel assigned to him and personal and professional use of chartered aircraft. 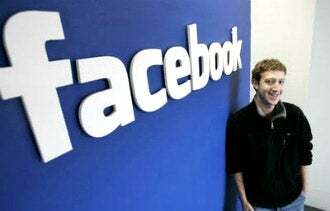 Facebook spent $68 million in 2011 acquiring other businesses. Zuckerberg owns 28.4 percent of the company's common stock (533.8 million Class B shares). James Breyer, a partner at venture capital firm Accel Partners, owns 11.4 percent of the company's shares; Co-founder Dustin Moskovitz owns 7.6 percent; and venture capitalist Peter Thiel owns 2.5 percent. A number of investors -- including Moskovitz, Sean Parker (played by Justin Timberlake in The Social Network), The Founders Fund, Silicon Valley Community Foundation and others -- have given Zuckerberg "irrevocable proxy" over their shares. That means Zuckerberg controls 1.07 billion Class B shares, along with an additional 42 million Class A shares, giving him control of more than 57 percent of the company's stock. In both 2004 and 2005, Mark Zuckerberg's father, a dentist in New York, provided the company with working capital. In return, he was given the option to purchase 2 million Class B shares of stock in the company. In 2009, three years after Dr. Zuckerberg declined and the options were no longer valid, Facebook's board of directors gave the same amount of options to Glate, LLC., a company owned by the elder Zuckerberg, in consideration of his initial financial assistance. What among these tidbits surprises you the most about Facebook as a company? Leave a comment and let us know.